During Mansions in May, 2014 (May 1st through 31st), Sheba Sharrow's painting "Don't Look Now" will be displayed as part of the Blairsden Mansion's An Art Collector's Sanctuary exhibition. 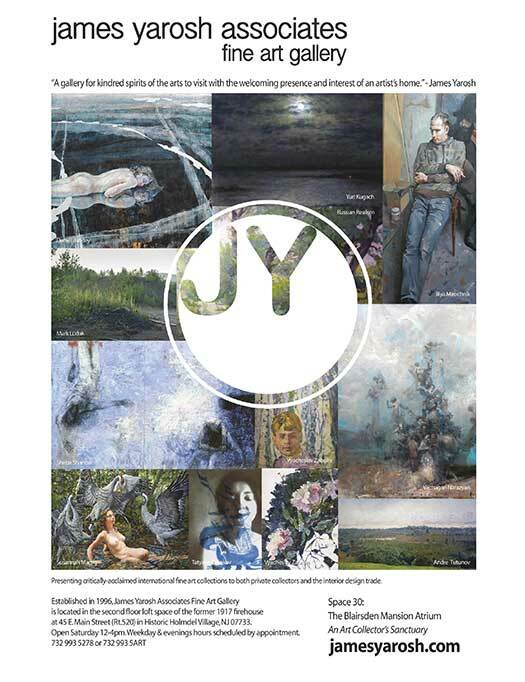 Please also visit or contact James Yarosh Associates Fine Art Gallery regarding additional works on view by the artist and available through the gallery. "Don't Look Now" is "painted in layers of pale blues, purples, pinks and white. At first look the surface has the abstract luminosity of the surfaces of Monet's late Waterlillies. Then we see: on the left panel a figure hanging from a trapeze is about to fall, while on the lower right of the right panel another sits hunched over…and a third figure is falling from a cross. In this beautiful and haunting painting Sharrow tells us that without solidarity we are alone and lost." The artist, Sheba Sharrow, was born in Brooklyn in 1926, to Russian Jewish immigrant parents and was raised in Chicago. While in high school, she was awarded a scholarship to the School of the Art Institute of Chicago (SAIC), and where she ultimately earned a BFA. She said: "The smell of oil paint was like perfume to me" and that the very high praise she received in that era was that she "painted like a man." She went on to become a 1951 Alumna of the Pennsylvania Academy of Fine Arts (PAFA), and to earn an MFA at the Tyler School of the Arts at Temple University. Among the grants and awards received were those from the Pollock-Krasner Foundation, the N.J. State Council on the Arts, and the Geraldine R. Dodge Foundation. Her work has been exhibited in over 30 solo shows at museums, universities and galleries. In the dominant milieu of Abstract Expressionism beginning in the 1950s, which actively rebelled against identifiable "meaning," Sharrow remained grounded in a humanist tradition and a social context. Curator and writer Alejandro Anreus placed her "in the company of Kollwitz, Beckman and Orozco" and writer Amy Fine Collins linked "her sensibility to German Expressionism." Sharrow has been considered part of the "Chicago School" of imagist painters, fitting generationally into the "Monster Roster" group of artists from that city, including the most well-known of her classmates to lead the charge of image and ideas over pure abstraction, Leon Golub and Nancy Spero. Yet there are significantly unique elements to Sharrow's work which hold her somewhat apart. She was a child of the Great Depression as well as a witness and participant in the social justice movements of the 1960s and 70s. Her work, however, consistently displays a profound awareness of conditions beyond gender, class and nation – our human condition, animated by desire and vulnerability, power and mortality, warfare and spirituality. Despite the seriousness of these subjects, she was unable to distance herself from beauty - the grace, strength and balance of the human form - nor to inhibit the exuberance of her palette and brush. Sharrow died in 2006. 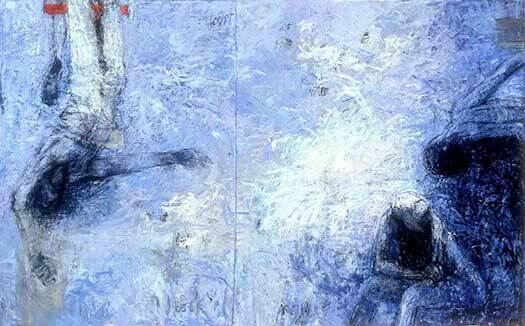 Her work is in many private, institutional and corporate collections.